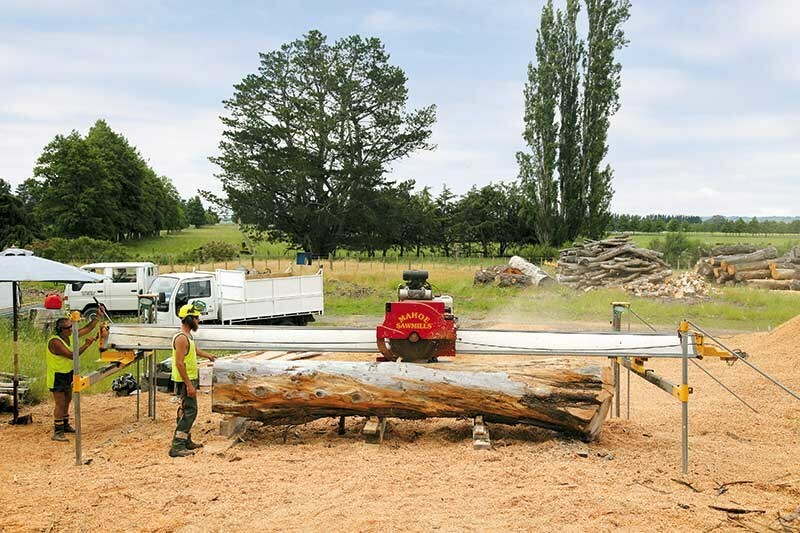 HB Tree Works Ltd is a saw-milling business that’s managed to hang in there and remain successful in spite of the challenges in the business of farm forestry in Hawke’s Bay. 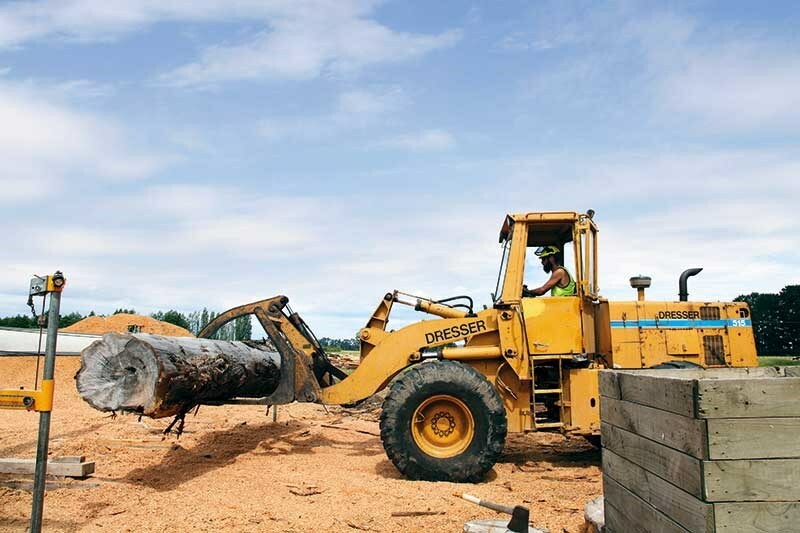 Bryan Taylor of HB Tree Works Ltd has operated a farm forestry sawmill for the past 12 years and he admits it’s becoming something of a rarity. 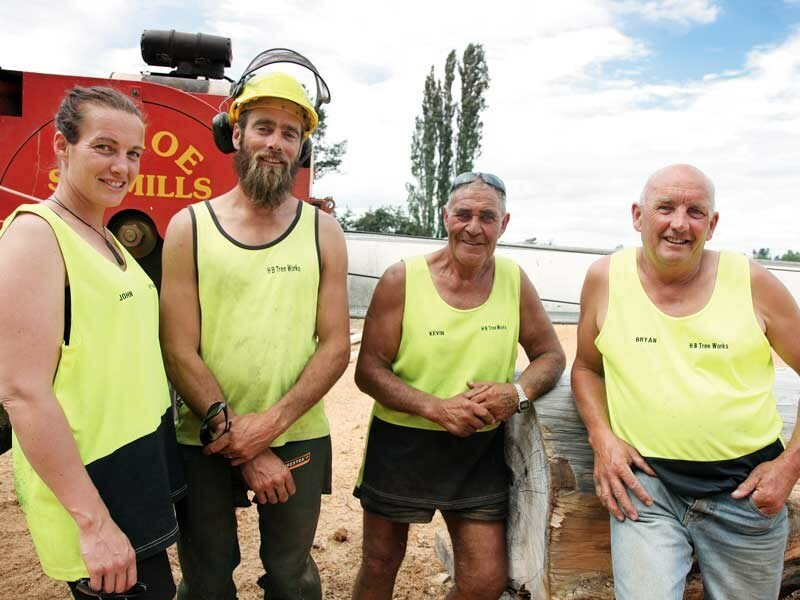 When he began in 2003, he estimates there were about 32 portable sawmills in his area in Central Hawke’s Bay. "I was one of the last to buy my mill, yet I am still going. I think some people thought there was good money to be made, but also, health and safety regulations have halted a lot of work. There are people around who are very good at tree work but are daunted by the bureaucracy of it." HB Tree Works harvest forests on farms in an area between Napier and Dannevirke. He and his team: his son John, Kevin Matena and daughter Hanna, who is a part-timer, are busy all year round – partly because they tackle a variety of jobs. 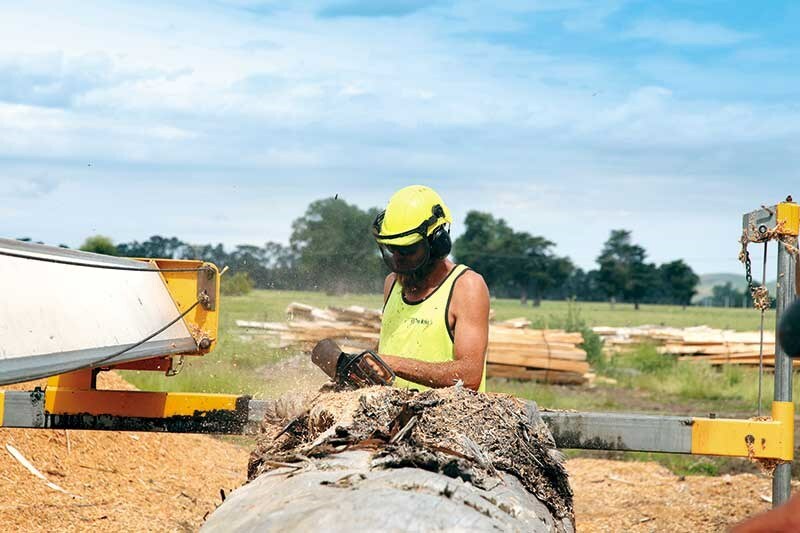 As well as sawmilling, they do stump grinding, hedges, firewood, tree surgery and export logs to the Napier Wharf. John, who has worked full time for the past four years for HB Treeworks, is very skilled at operating machines and felling trees and is a great asset, says Bryan. Skills he has picked up from his father from years of watching and helping and also having Kevin teach him skills from his years of experience in the forestry sector. Before Bryan got his own mill, he was involved with tree surgery and felling for 30 years. He says he decided to set up his own business, partly because he preferred to mill his own logs rather than having others do it. "I’ve always had a fascination for cutting nice timber out of logs – you don’t know what you are going to get, sometimes. Trees can be unpredictable when you start milling – the guts of them can be really bad. But I enjoy that challenge." 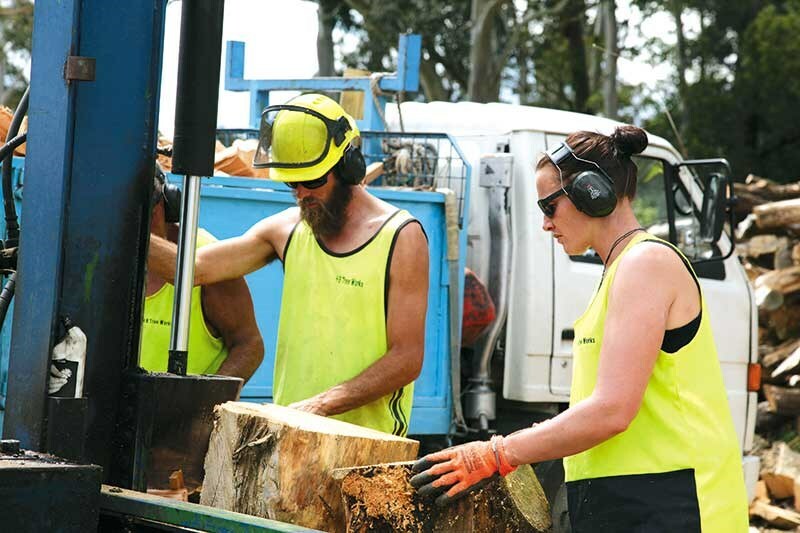 There’s less Macrocarpa available for milling nowadays he says – "it’s been used hugely for firewood – for years, people have cut up good logs which is a pity." Bryan leases a property near Ongaonga, which is his main processing site. It enables him to truck logs in and process them before the timber is trucked out either to Watts to Mill in Waipukurau, where premium quality 150x50 timber and the lower grade (green) 150x40 timber is used to make garden beds. Some timber sleepers go to a Napier Garden Centre. Also export logs are sent to Napier Wharf through FOMS (Forest Owner Marketing Services Ltd) for export – mainly to Asian countries. Surplus wood is milled into battens, posts, and bridge decking which is tanalised pine. Some excess firewood goes to a merchant in Napier. When Bryan decided to purchase a portable mill, it was a toss-up between a Mahoe Minimax 12-by-eight and a smaller Lucas Mill. What swayed his decision was that the Mahoe returns the finished board to the operator. "The Mahoe cuts one piece of timber at a time whereas with some other brands you have to turn your blade then come back the other way so the width is still on the log. This will go down and bring the wood back to you which is a lot better." Another reason Bryan enjoys the Mahoe is because it is portable. "The Mahoe Minimax has a 40hp Kohler motor; most of the others have a Kubota diesel motor. This is a petrol motor but actually, I’d rather have a diesel -they are more economical, lower revving and quieter. However we still really like this one and it does the job." 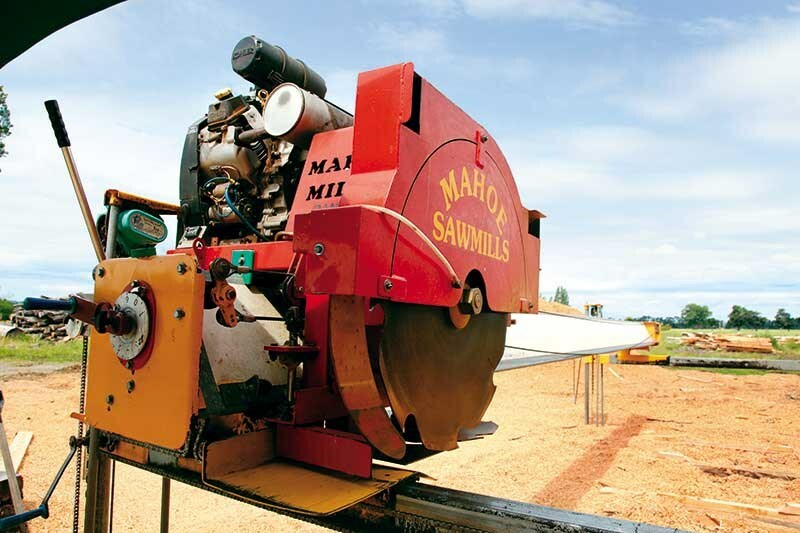 Kevin who has had 40 years sawmilling experience likes the Mahoe because one of its features is a portal to the side of the blade, which enables him to see what the blades are doing and how the cut is progressing along the log. Kevin began work as a saw miller in the 1970s and in the past, has worked on different types of sawmills. "He’s a very good operator," says Bryan, praising his quietly spoken workmate – "he’s very skilled which causes low maintenance on machinery and he doesn’t take many days off." Kevin just grins. Other machinery they use on the job is a Dresser 515 Wheel Loader, a Hitachi LX100 Loader and a Komatsu 41 bulldozer with a winch and 311 CAT which is fully bush rigged for the forestry sites. "The Hitachi Loader we can leave on the job with the excavator and the bulldozer and have the loader for use in the yard. The loader has a tailor made blade built to allow the crew to clean up a skid site. "Another recent purchase is a slabber that will cut whatever thickness we want in one hit, right through the log. This is particularly good for clients who want table tops and for inside houses or pubs," says Bryan. Bryan, John and Kevin are currently undertaking apprenticeships on a part-time basis with industry training organisation, Competenz, in order to upskill in some areas and bring themselves in line with the latest compliance and health and safety requirements. At present, Kevin is doing his in extraction and loading, John and Bryan in tree felling. "We are learning some good stuff; we started off with health and well- being it was really good. Eating the right food, drinking enough fluid and getting enough sleep. It sounds simple but they say most accidents happen on Monday after the weekend, so it is really useful information." 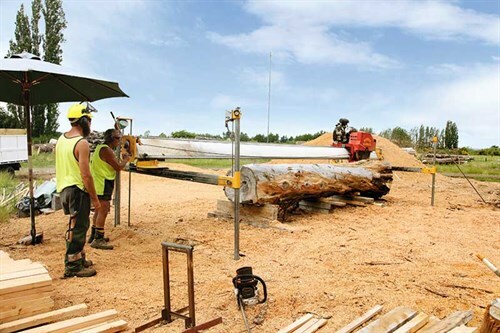 "The last 12 years we have worked on making the most of the tree jobs we do, to get the best value for money from sawmilling whether it be firewood log or export log. We have also milled ornamentals like Oak, Ash, Cedar, and Redwood trees. We don’t generally advertise for work, it just keeps coming, so we are confident about its future. He adds, "We enjoy what we do and it reflects in the finished product. I don’t like unhappy customers and we meet some great people."